Our first barn dismantling project was The Turner barn in Knoxville, TN. The barn was originally built sometime in the late 1890’s off Baddget Road near Tooles Bend in West Knoxville and was named after the Turner family who purchased the property in the early 1940’s. Tennessee Barn Wood's owner, Ray Trotta, finishing up some legs to a beautiful signature table. The Tennessee Barn Wood Company started in Knoxville, TN in 2010 with the goal of preserving rustic barn wood from dilapidated barns in order to offer our customers the opportunity to own a piece of American history that is quietly disappearing from the American landscape. 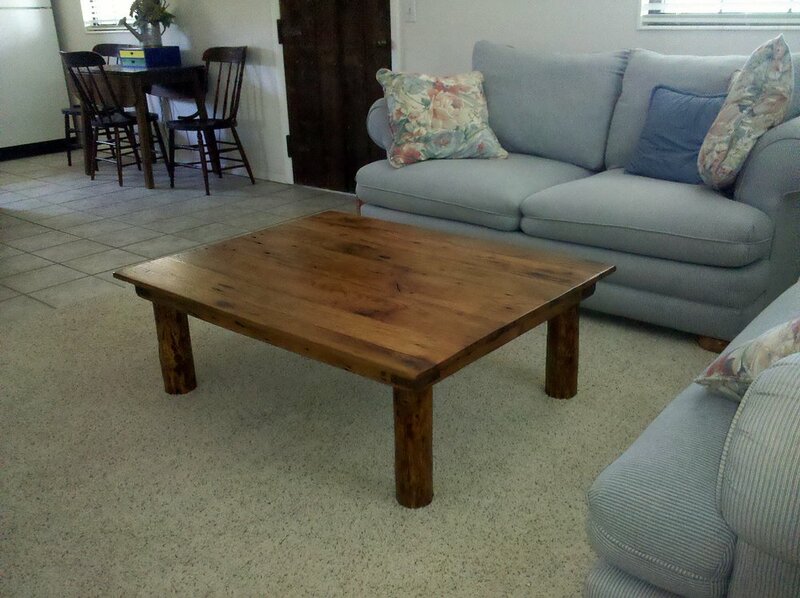 A table made from Tennessee Barn Wood's products! We are still located in Knoxville, TN and currently offer wholesale barn wood as well as one of a kind barn wood tables made from reclaimed wood all over the east Tennessee area.